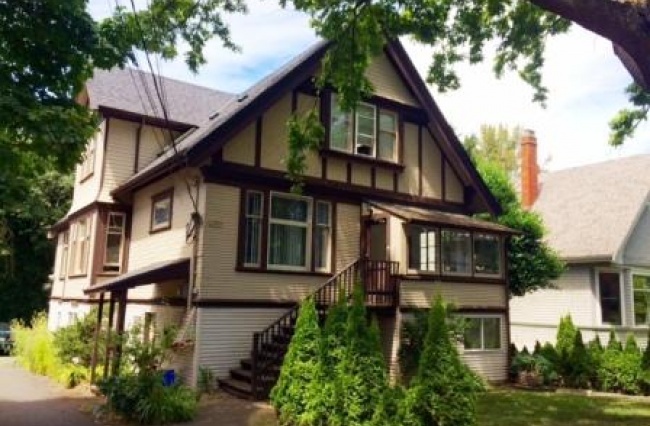 Renovated one bedroom suite in a triplex character house centrally located in Fernwood- walk to town, transit and shopping close by. This 1907 suite has just been completely renovated! New paint, new vinyl plank flooring- original wood flooring refinished in the living room. 4 piece bathroom. Shared laundry. Water included in rent. All other utilities are the tenant’s responsibilities. No smoking permitted. Small pet considered. Pet deposit will be required upon approval. One year lease required.